The GPHG presents a multi-faceted collective exhibition dedicated to watchmaking culture at the MAH Geneva, November 1st 2018 – After Venice, Hong Kong and Singapore, the 72 watches pre-selected by the jury of the 18th Grand Prix d’Horlogerie de Genève (GPHG) are on show from November 1st to 14th at the Musée d’art et d’histoire (MAH) in Geneva. This fascinatingly diverse exhibition, inaugurated yesterday evening and organised by the GPHG in partnership with several local institutions, presents the contemporary world of time measurement from a variety of angles. 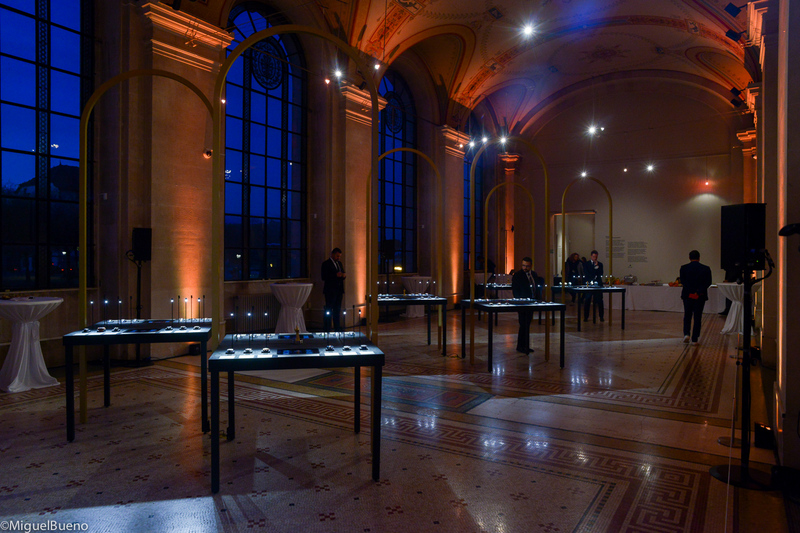 Alongside the watches pre-selected by the GPHG jury, the Palatine rooms of the museum offer a chance to discover: screenings of videos by international artists, taken from the Telling Time exhibition, a dialogue between art and watchmaking presented by the Fondation de la Haute Horlogerie (FHH); a creation as well as several research projects from students of the Chair in Watch Design at the HEAD – Geneva University of Art and Design; as well as prize-winning images from the international Watch Photo Awards competition open to the public at large. The MAH itself is also partnering the exhibition and showing a selection of various works epitomising the ties between art and watchmaking, drawn from its Fine Arts collections. In addition, visitors can take part in various educational and playful watch initiation workshops organised by the FHH, along with cultural mediation activities (MAH). Next key date: The 2018 list of prize-winners will be announced on November 9th in Geneva at the GPHG award ceremony to be held in the Théâtre du Léman.